Roosebeck Hammered Dulcimer 16/15 62 String & Hammers. 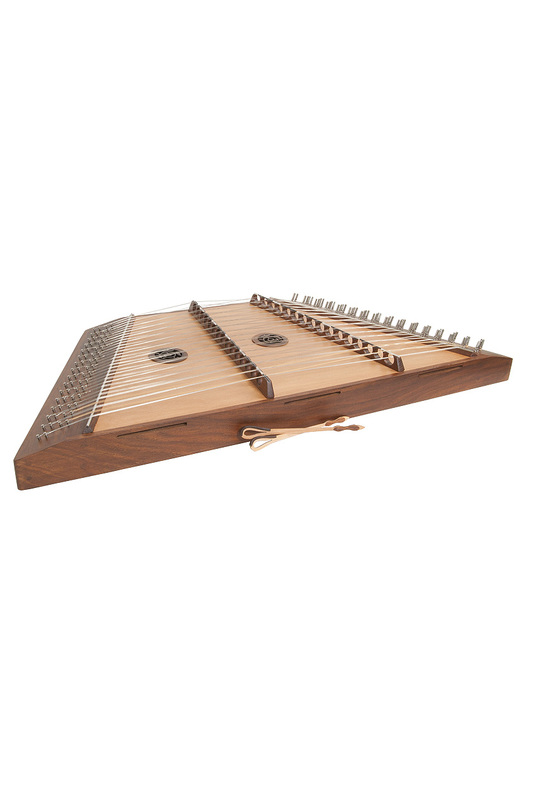 The Hammered Dulcimer has a beautiful, rich, full sound and has been used throughout the world for many centuries, originating in the Middle East. The name originates from the Latin word dulcis and the Greek word melos, which translates to "Sweet Tune." Accessories Included: One pair of two sided dulcimer hammers that have a leather pad on one side to create a softer sound. 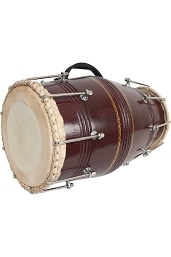 Both hammers are lacewood with sheesham trim. Also included is a tuning tool and drawstring bag. Soundboard: The soundboard is solid lacewood and includes two sheesham rosettes over the sound holes. The rosettes feature an intricate vine and leaf pattern. Bridge: The sheesham bridges have color coded saddles on top that help make instrument easier to play. For the recommended tuning, the distance from the left nut to the 1st bridge at top should be 5.4" 138 mm and the distance from the left nut to the 1st bridge at bottom should be 11.2" 285 mm. Please see owner's guide for visual.